Designed by Melbourne-based illustrator Daniella Germain, the new Paloma collection from Ashdene is brimming with personality and character. 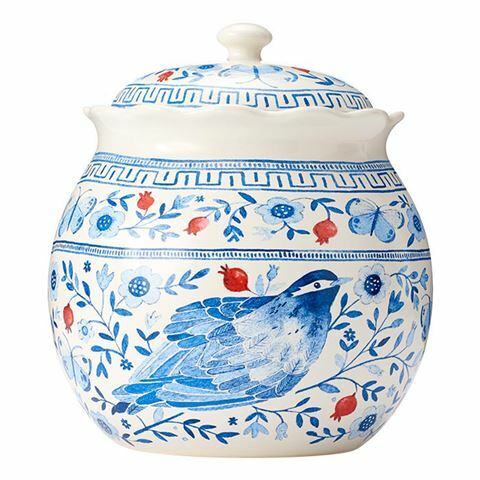 Decorated in Germain’s predominant illustration style, each of these stoneware pieces is embellished with a hand-painted watercolour design that draws inspiration from both the artist’s love of birds, as well as the distinct artistic stylings of the Ming Dynasty period. 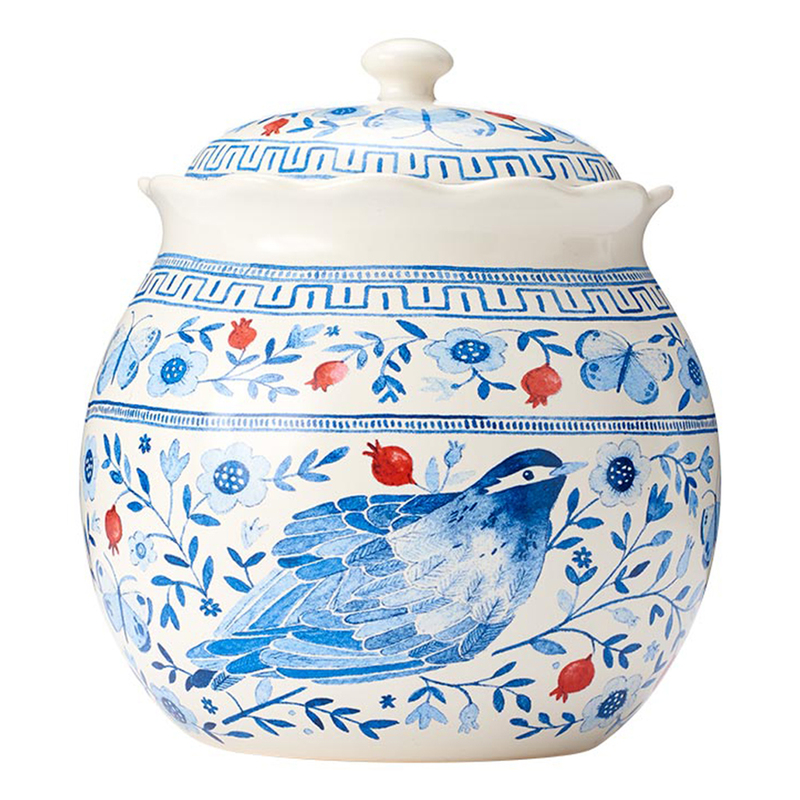 Vivid illustrations are inspired by both the Ming Dynasty, as well as the artist’s love of birds. Comes with a matching lid. Lid is equipped with a rubber seal that works to keep your ingredients and foods fresher for longer. Please Note: Due to the hand-painted nature of the Paloma collection, your item may slightly differ from the images above. Dimensions: 16cm (h) x 14cm (w) (Including Lid).